Mamma Mia! Here We Go Again, is the long-awaited, much-anticipated, foot-tapping sequel to the 2008 romantic musical Mamma Mia! (dir. 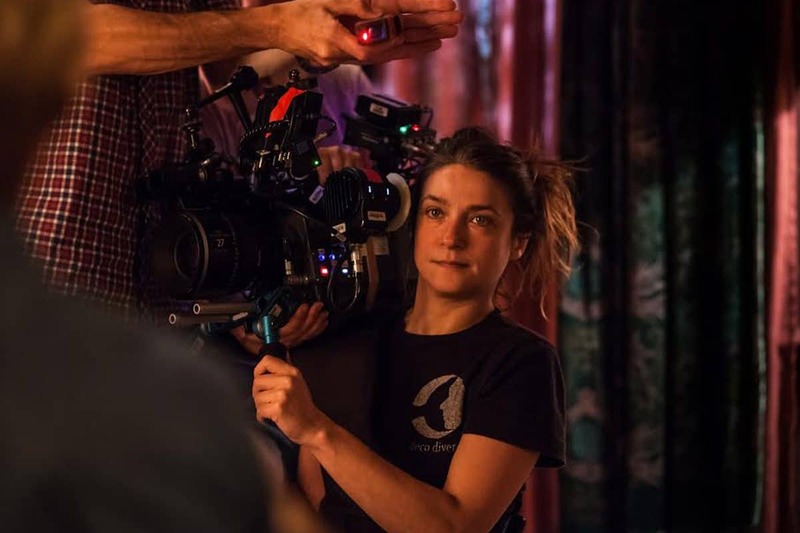 Phyllida Lloyd, DP Haris Zambarloukos BSC GSC). The Universal Pictures production, featuring a host of theatrical routines set to iconic ABBA tunes, was directed and written by Ol Parker, from a story developed by Parker, Catherine Johnson, and Richard Curtis, and was shot by American cinematographer Robert Yeoman ASC, whose previous credits include Drugstore Cowboy (1989), The Royal Tenenbaums (2001), Bridesmaids (2011), Moonrise Kingdom (2012) and The Grand Budapest Hotel (2014). Whilst critics worldwide generally considered the first movie to be a distinctly average affair, audiences felt differently. Made for $52m, Mamma Mia! returned over $610m at the box office, and became the highest-grossing live-action musical of all time, until it was surpassed by Beauty And The Beast in 2017. It also became the fastest-selling DVD of all time in the UK, with 1,669,084 copies snaffled up on its first day of release, breaking the previous record (held by Titanic) by a margin of 560,000 copies. By the end of 2008, Mamma Mia! had become the biggest-selling DVD ever in the UK, with one in every four households owning a copy, representing over five million copies sold. Set ten years after the original movie, the romantic, comedic drama of Mamma Mia! Here We Go Again unfolds on the Greek island of Kalokairi, where the present and past romantic capers of the protagonists, some dating back to the 1970s, interweave, before a unexpected visitor arrives. The film stars Meryl Streep, Lily James, Amanda Seyfried, Christine Baranski, Julie Walters, Pierce Brosnan, Colin Firth, Stellan Skarsgård, Dominic Cooper and Cher. ABBA songs include ‘Waterloo’, ‘Dancing Queen’, ‘Thank You For The Music’, ‘I Have A Dream’, ‘Knowing Me, Knowing You’ and, of course, ‘Mamma Mia’. Following a two-month prep period, which included Yeoman’s regular attendance at daily rehearsals at Shepperton Studios to observe, record and plan the photography of the song and dance routines, the movie went into production in August 2017. 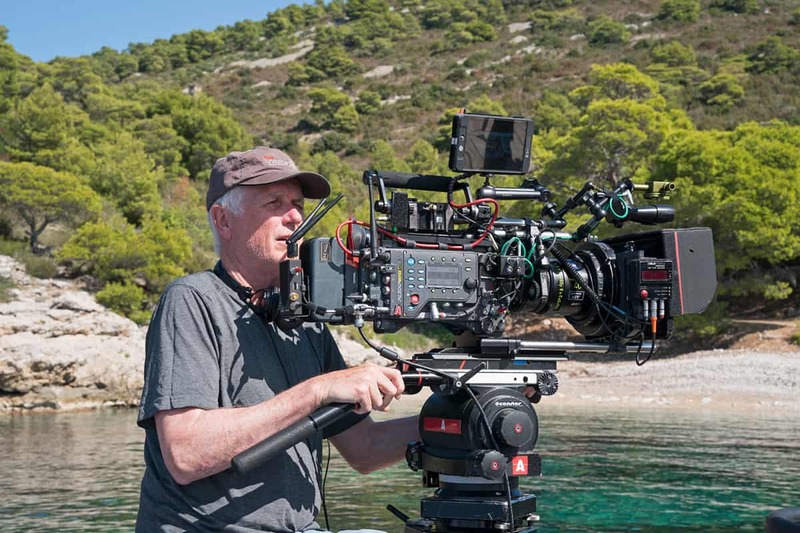 Commencing with brief stints in Oxford and Shepperton Studios, production rapidly switched to the small Croatian island of Vis, in the Adriatic, doubling for the movie’s Greek setting, for a six week period. The production then reverted back to Shepperton, where a complete set of the Greek villa had been built on the voluminous H-Stage, and where most of the movie’s song and dance routines were shot. Additional shoots took place in London and Oxford, and the product wrapped in December, after 70 production days. The full interview can be found in the July 2018 issue (88) of British Cinematographer magazine. You can read it ONLINE, plus the rest of our extensive back catalogue, by purchasing a year’s digital subscription from just £30 here, or a year’s all-inclusive subscription from just £64 here.